Elks Lodge #107 represented by Exalted Ruler Walt Brown. French Colony Chapter National Society Daughters of the American Revolution, represented by Cathy Greenleaf, chapter regent. The Earl Neff Pediatric Fund at Holzer continues to be supported enthusiastically by area businesses and organizations. The Pediatric Fund, in existence for over 45 years, has supplied needed toys, equipment and entertainment to the thousands of pediatric patients who have received care on Holzer Gallipolis Inpatient Pediatric Unit. 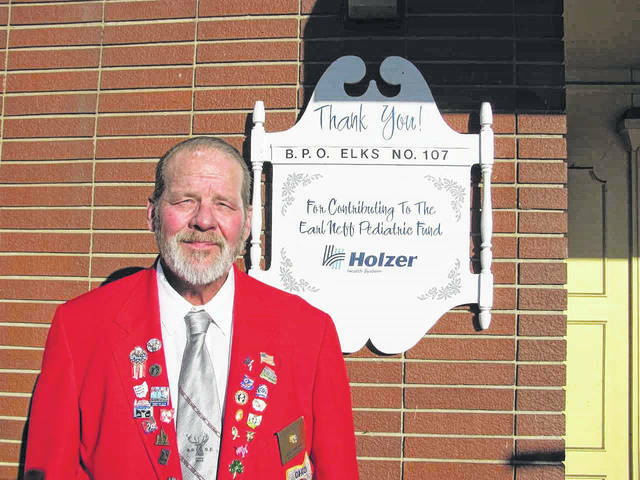 October sponsors are Elks Lodge #107 represented by Exalted Ruler, Walt Brown, and French Colony Chapter National Society Daughters of the American Revolution, represented by Cathy Greenleaf, chapter regent. 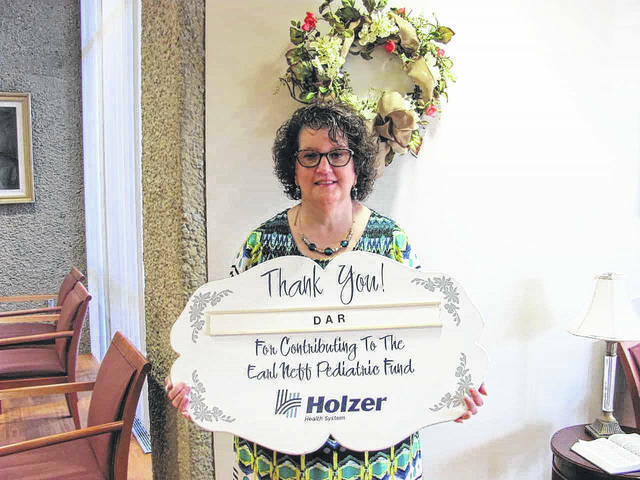 The entire staff of Holzer Health System joins in expressing their gratitude, along with the young children and their families, for these contributions to the Earl Neff Pediatric Fund. For more information, call Linda Jeffers-Lester, Holzer Heritage Foundation, at (740) 446-5217.
https://www.mydailytribune.com/wp-content/uploads/sites/42/2017/10/web1_10.19-Holzer-1.jpgElks Lodge #107 represented by Exalted Ruler Walt Brown. https://www.mydailytribune.com/wp-content/uploads/sites/42/2017/10/web1_10.19-Holzer-2.jpgFrench Colony Chapter National Society Daughters of the American Revolution, represented by Cathy Greenleaf, chapter regent.